I wrote a blog post yesterday called “Moral Failure” (scroll down for that one) and while most of my posts have readership in the 10s, that post had readership in the 100s. I was astounded to watch the “hits” on that blog post rise throughout the day. Clearly, I hit a nerve. And I wanted to follow it up with a somewhat related post today. Go with me as we get there. She may not know it, but my wife (before she was my wife) gave me one of my most valued possessions. When we were in college, a folk musician by the name of Michael Kelly Blanchard came to a chapel service and sang. (I wasn’t really into folk music, but I really enjoyed what I heard.) That night, he held a concert for the student body. I will never forget how mesmerized I was and still continue to be at the lyrics of his songs. Some of them you may know, but perhaps didn’t know that he was the songwriter. A popular tune in the Church is “Be Ye Glad”, made popular by an A Capella group called “Glad”. The words though, were written by Michael Kelly Blanchard. Last Saturday my wife and I were cleaning out our closet and I came across a box of cds. Nostalgic as I am, I couldn’t resist sitting on the floor, opening up the box, and going through its contents. I came across a cd called “Mercy In The Maze” by Michael Kelly Blanchard. It was a cd my wife bought for me back in college when Blanchard visited our school. Clearly, she saw how moved I was by his music and wanted me to have my own copy. More on that in a moment. Thousands of years ago, God spoke and created every thing you see. The sky, the oceans, the forests, the mountains, the fish, the animals, the flowers, the grass, the deserts, the stars, the moon, the Sun, the galaxies. Everything came into existence by the very will of God through the very spoken word of God. He simply spoke and order came. Perfect design flowing from the mouth of the Perfect Creator. What power is His, evidenced by what happened when He simply spoke. But God didn’t speak humans into existence. Genesis 2:7 tells us that God “formed a man from the dust of the ground”. While God could have most certainly simply spoken man into existence just as He did the stars and fish, God wanted man to be a “hands-on” project. Look down at your arms, your hands, your feet. You are literally the work of God’s hands. Psalm 139:13 finds the psalmist declaring, “You knit me together in my mother’s womb…” God created you with His own hands. Do you see how precious and priceless you must be to Him? And after God formed man from the dust, Genesis 2:7 tells us that He then “breathed into his nostrils the breath of life…” While scientifically it’s true that you’re breathing oxygen right now, can you embrace the truth that spiritually speaking you are breathing the breath of God? You are alive right at this moment because of the breath on loan to you from God Himself. Pause just a moment and contemplate that truth. The book of Genesis, in the very next chapter no less, tells us that the serpent was the most crafty of any creatures the Lord God had made. Let me tell you what one of the greatest and yet most effective lies the serpent speaks is: “You’re beyond grace.” Everyday to as many people as he can, Satan whispers into their ear that they are beyond help, beyond forgiveness, beyond repair, beyond the reach of God’s love. They’ve done too much, they’ve sinned too much, they’ve hurt too many people. They’ve simply gone too far and nothing can bring them back to the redemptive embrace of their Creator. How I desire for every person who is taking the time to read these words to understand and embrace this fact: No matter what you have done, no matter where you have been, no matter what you think of yourself, no matter how painful the pain is that you’ve caused or that you now feel; there is NOTHING, absolutely NOTHING that can keep you out of God’s reach. I beg you to please reject the lie of the enemy as he seeks to pull you further and further into the darkness of your own shame. Whatever you have done, the blood of Jesus Christ covers it. You are still the object of God’s affection. You are still the target of His love. 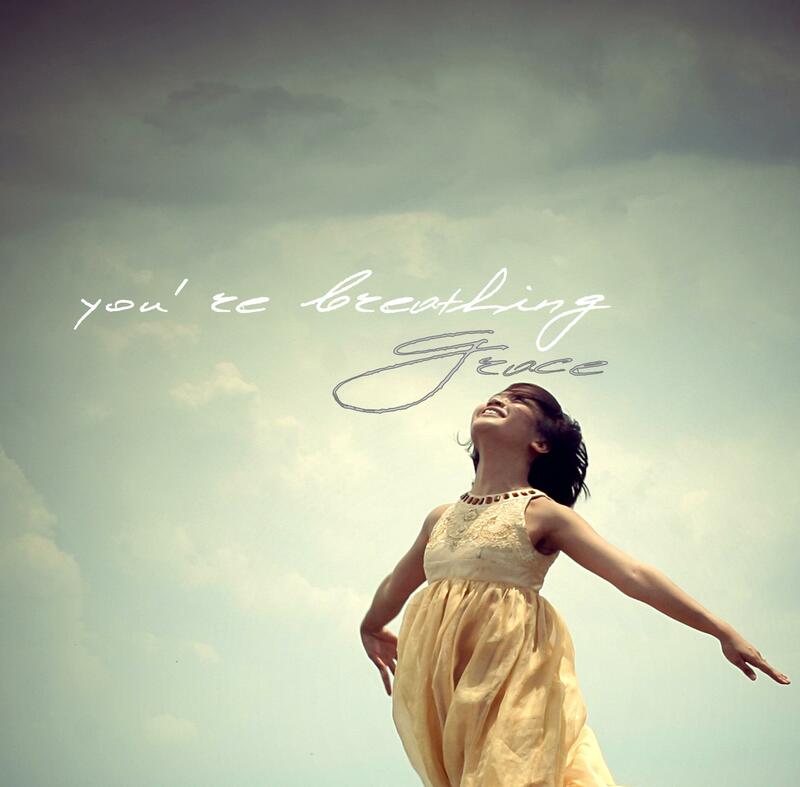 You are still breathing the very breath of God; the grace-filled breath of your loving Creator. Please believe that. Please embrace it. Please accept it. Please take that truth in to the deepest part of the darkest pain you have and allow it to be the salve, to be the balm that heals the hurts. It is not merely words on a screen you’re reading–it is the most real reality there is. It’s the truest truth that exists: God loves you right where you are. I want to introduce you to a song by Michael Kelly Blanchard. The video that follows is dated, but the message being conveyed is as relevant and needed today as it ever has been. And as you listen to this song, I invite you to place yourself in it. Hear the words as they come from the singer and realize that this is God’s loving anthem over you. If you have failed morally, if you have reckoned your situation as hopeless, if you have been convinced that you are beyond repair, beyond redemption, beyond God’s reach….listen to His message of grace today. And breathe His grace in. Thanks, Jer! Great follow-up! I loved the song too! What a burden that message can lift and take away forever! Love ya! Whoever cries out to Him to be saved, He will not ignore — God will pick us up, help us clean up our mess, and go forward. All we have to do is ask Him!! Excellent follow-on, Jerry, thank you! Wow Jerry. Once again you have posted an authentic message that provides inspiration and hope. Your posts are becoming something I look forward to. I appreciate that you are writing from truth without manipulation. I can see God sending his messages through you posts. Thank you also for introducing me to another artist I can add to my Zune playlist.